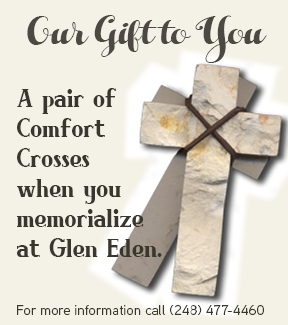 Many settings for individual and family lots are available throughout Glen Eden’s 140 acres where centuries old oak trees, willows and crab apple trees, interspersed with man-made beauty, follow the 19th century philosophy that by reflecting closeness to nature, we realize a greater closeness to God. A glass-covered atrium, numerous skylights, brilliant stained glass and uniquely crafted bas-relief walls create a reverent, peaceful and inspiring atmosphere in our St Gabriel and Chapel Mausoleums. 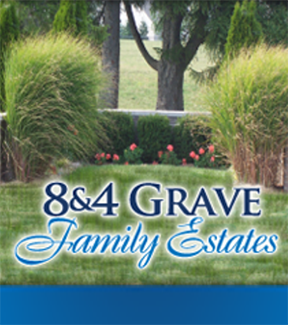 Individual, companion and family crypts are available in this secure, climate-controlled setting that allows for year-round visitation even during Michigan’s harshest winters. 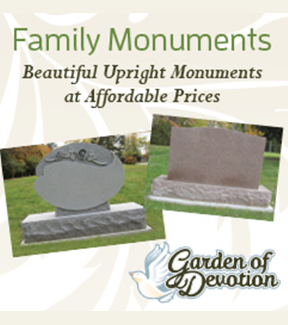 Traditional in-ground burial, above ground mausoleum and outdoor niche settings offer families inspirational choices for the remembrance of loved ones. 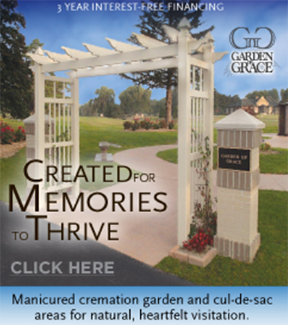 The very special Garden of Grace cremation garden and Memorial Park Boulevard featuring a niche garden, a niche wall and a niche garden wall are two of the unique settings for those choosing cremation.